The exterior corner of a shopping mall extends into a blue sky dotted with dense clouds. 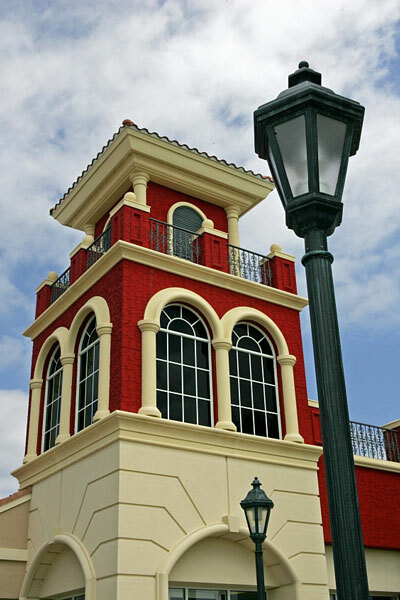 The retail center is built out of cream and red stucco, and includes detailed ironwork. There are two lampposts in the photograph, one in the foreground, and one in the background.